What’s the age of the oldest plant in your garden? There’s a saying that the more fondly you look at your plants every morning and tend to them, the better they grow – the love permeates. The oldest in my garden is a ivy that we planted four years ago when we moved back to Bangalore. 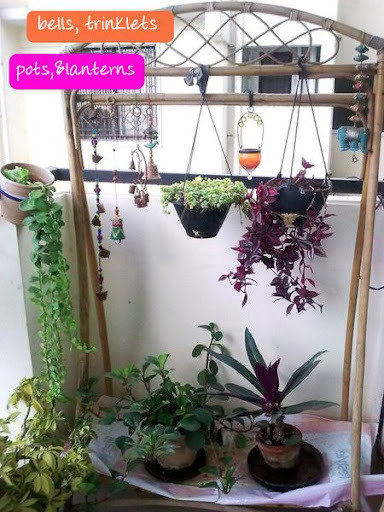 But, Reema Saravanan of Bangalore, says some of the plants in her garden have been with her for almost 8 years now. WOW! And you’ll know how true that is when you look at her garden. 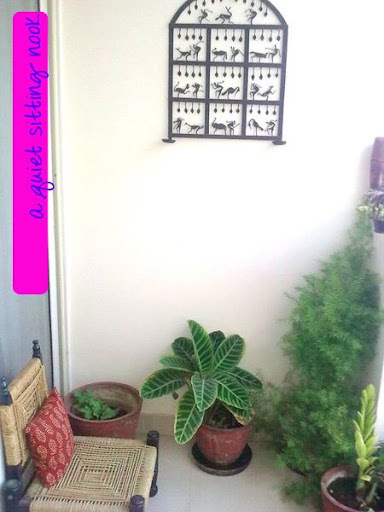 The plants are in good hands :) Thanks Reema for asking to be featured on “dress your home”. It’s a pleasure to showcase your garden. 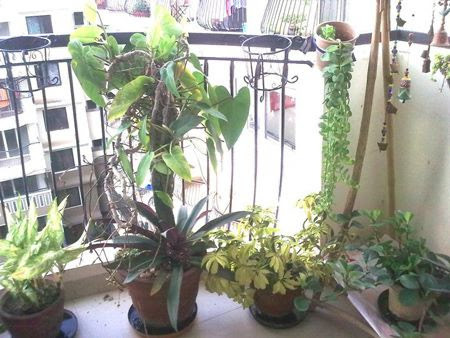 Reema lives in Bangalore; her balcony faces east. 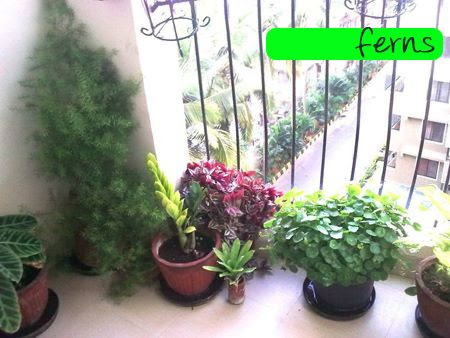 When I asked her how she takes care of her plants and if there are any maintenance tips , she responded, ” as I am working and have to maintain a work life balance, all the plants in my balcony garden are very low maintenance. The one thing that I never miss out is watering them every evening, I would prefer doing it every morning but you know how mornings are. I manure them once in 3 months and try to re-pot them once a year. Some of the plants in my garden have been with me for almost 8 years now. But lately I had observed that some of the plants are getting infected by mealy bug. But thanks to a good friend of mine, she got me this pesticide called Imidacloprid 17.8% SL which is really effective. A mine of information in those few sentences from tips on regular care to taking care of bugs. Have a wonderful weekend. See you Monday. Do you laze around in a deck chair or easy chair? 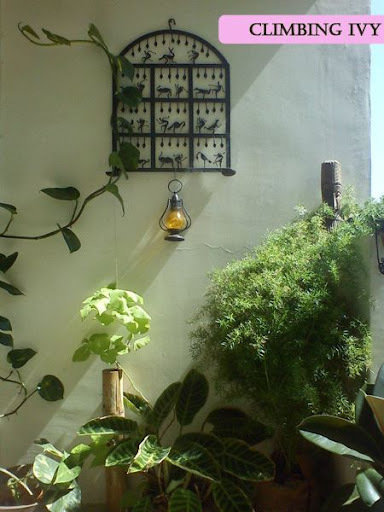 But I am not sure where to get such window boxes from, do you have any idea? Also, how much do they cost roughly? Swapna: Which city do you live in? If you are in Bangalore, you could try Green Essence in Indira Nagar. I think they retail on Shopo http://shopo.in/products/red-railing-planter. Not sure if you’d find it in Sunshine’s Garden Boutique (Indira Nagar) and the Garden store in Whitefield. Anyone else know of other places, please suggest. These guys deliver fast in Mumbai. 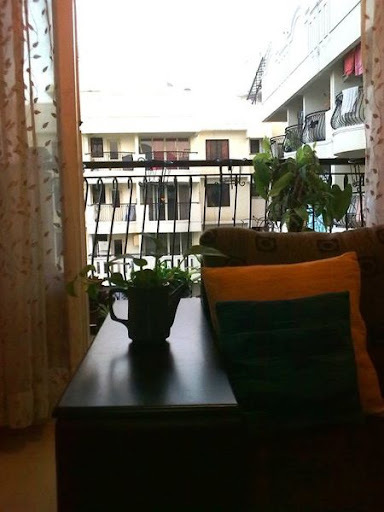 do you know where can I get the chair featured in one of d pic in Bangalore and how much would it cost.